I'm back again with another mixed media tutorial using Faber-Castell Mix & Match Gelatos . I think it's safe to say that Gelatos are my favorite tools to work with. 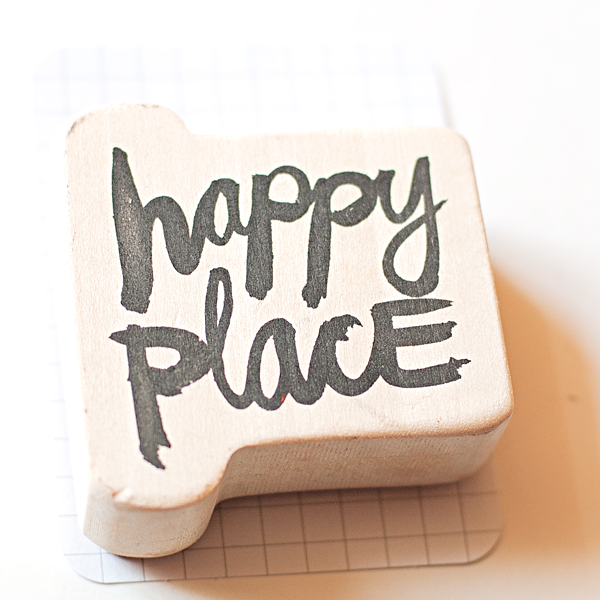 I also really love this wood mounted stamp from the Amy Tangerine Plus One Collection. I can't get enough of it. NOTE: it is best to use thicker designs for your stamps. The more intricate it is, the harder it will be to get a nice clean image. 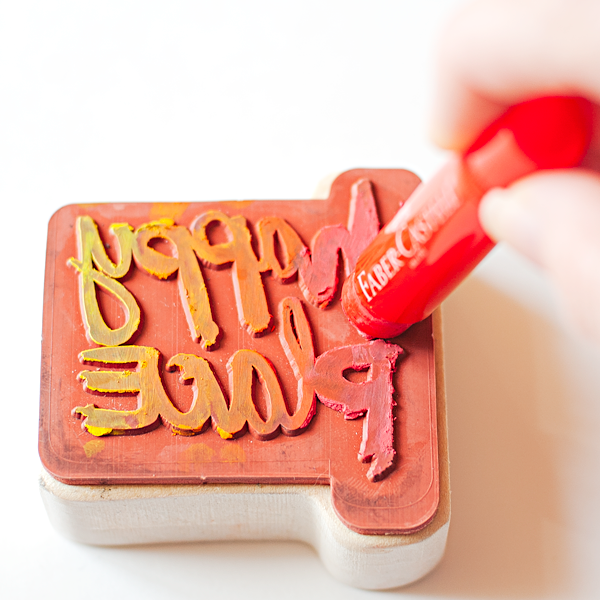 My favorites are rubber stamps or foam stamps for this technique. Clear stamps will work, but when they are wet, they tend to slide around on your block and become more difficult to get a clean image without it sliding around. 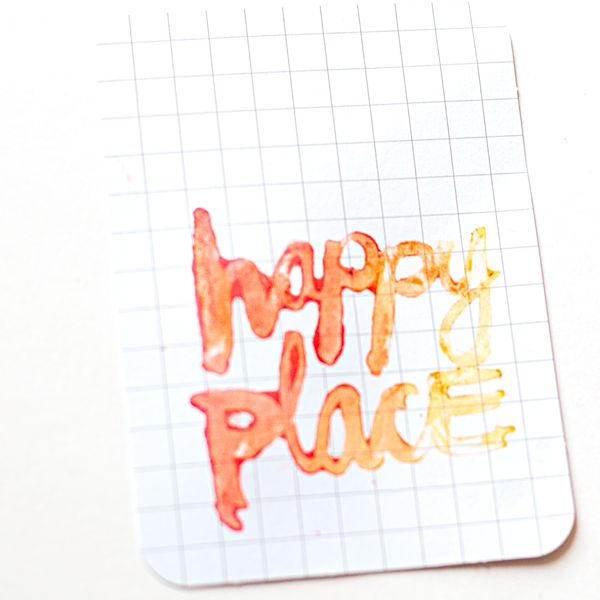 First, you're going to draw on your stamp with your Gelatos . I wanted a gradient look so I started with the lighter color and ended with the darker color, blending them in by drawing on top of parts of the previous color. Next, you will use your spray mister to spray it twice with water. I let it sit for a bit to blend the colors more and sometimes I'll go back and add more color. NOTE: this part takes a bit of practice. Too much water will make it really flow which would be great for flowers that you want to have the watercolor look with. For more defined images, you don't want it to flow as much so that you can see the image. 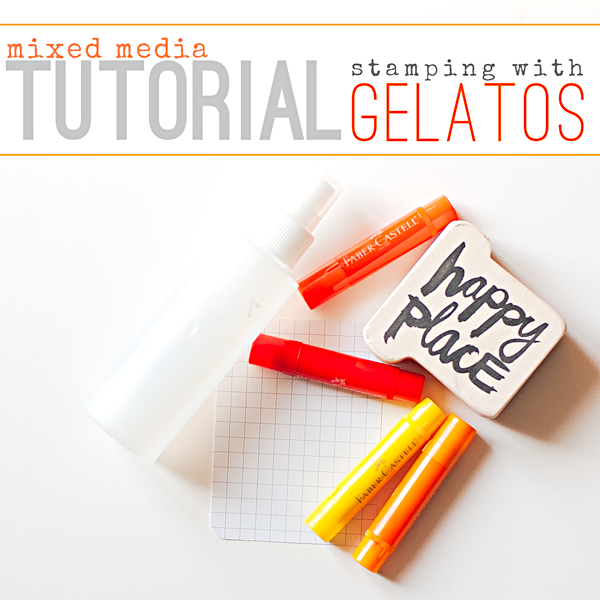 Lastly, you will stamp your image on your card and press hard into it to transfer the Gelatos . If you press softly, the image will be soft and have a great watercolor effect. For more defined images like these words, you want to be sure to press harder to have the words appear more defined. Carefully remove your stamp and you'll see your image. 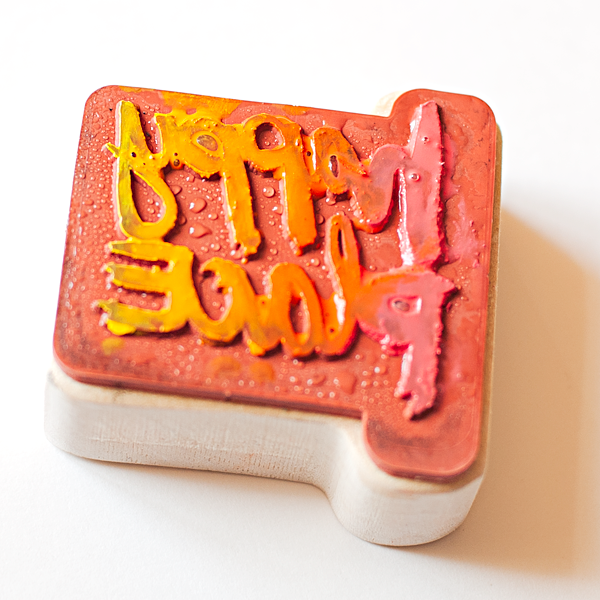 You'll also still have some Gelatos on your stamp and you can usually re-wet your stamp and make another image. The fun is in the playing and getting used to this technique. It isn't a super easy technique, but once you've played a little bit you'll understand how much water and Gelatos to use. This example below is a second imprint. The first one had too much water and it was difficult to see.